How do I create my Software-as-a-Service product? Where do I find API reference documentation? How do I define access rules for my application? How do I setup my own domain? How do I customize the default theme? How do I customize workflows? How do I run a subscription business? How do I look up a subscriber? 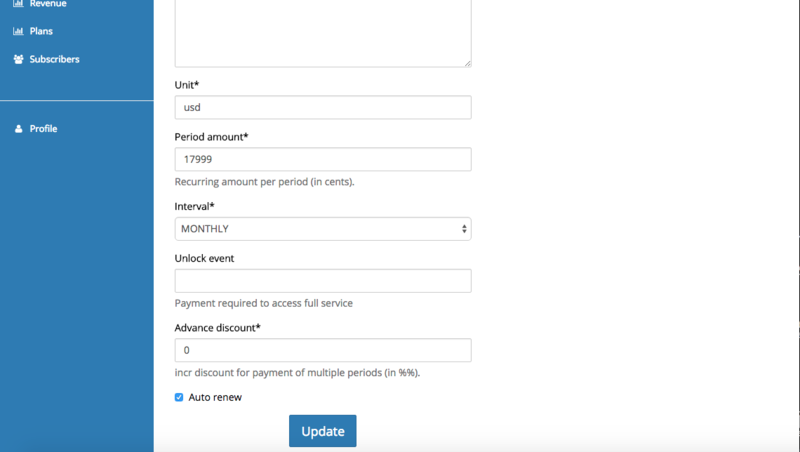 How do I setup discounts? How do I check on the performance of the business? How do I setup group billing? 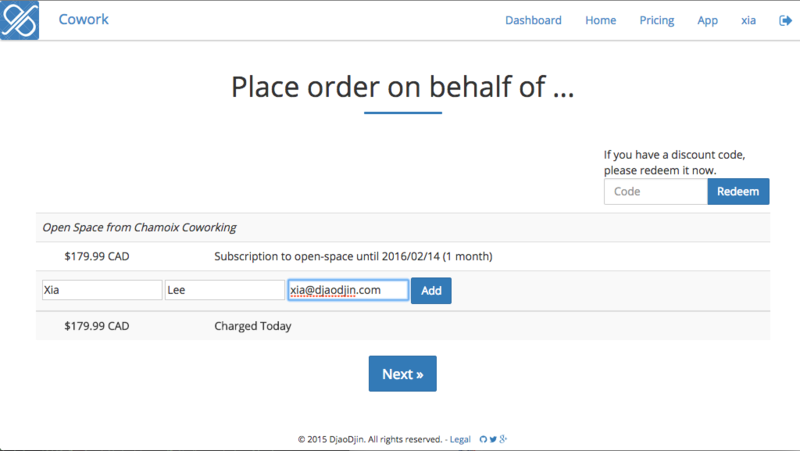 DjaoApp acts as a subscriber session manager between a browser client and your backend application. DjaoApp implements all registration, payment and user profile pages. Technically DjaoApp intercepts HTTP requests from the client to your product. DjaoApp will authenticate users, process payments and run the 80% of boiler plate code required to run a business on the Internet. DjaoApp will only forward validated requests, augmented with session information, to your product. 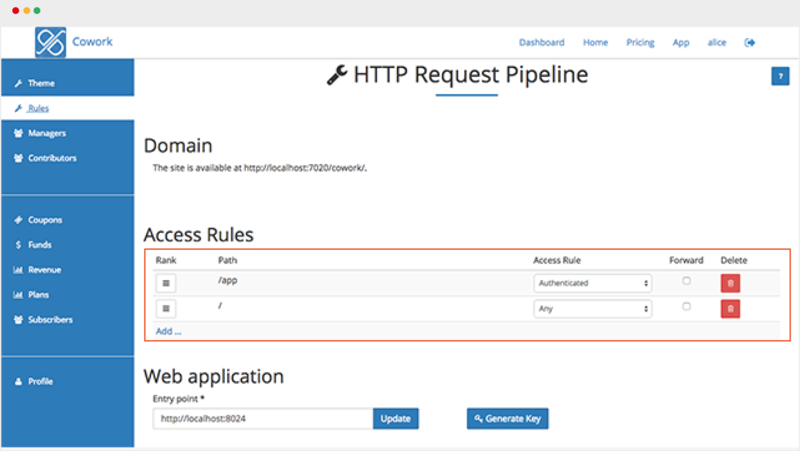 Insert code at the entry point of your application HTTP request pipeline to unpack the session information passed by the DjaoApp proxy. 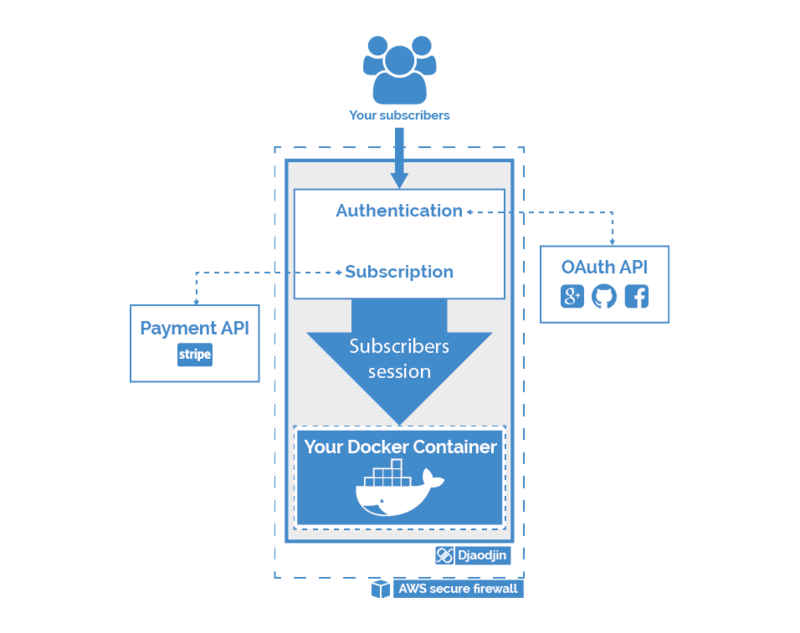 You can find details on each step in Deploying an Application. If you are developping a Software-as-a-Service with Python/Django, we have made it even easier to integrate a Django project with DjaoApp session tokens. 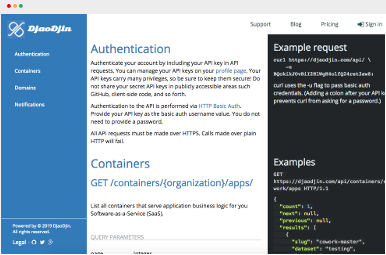 DjaoDjin managed hosting API reference to deploy containers. 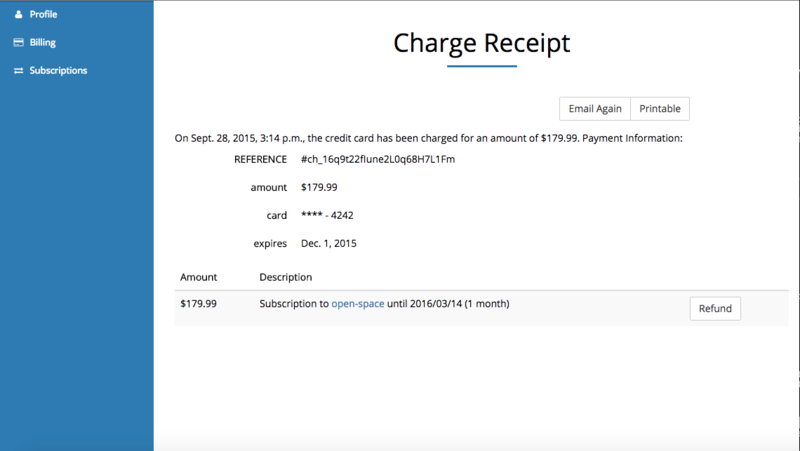 DjaoApp API reference for your web front-end to interact with the accounts & billing workflows. Logging into your site (ex: mydemo.djaoapp.com), then on the dashboard, click on the Rules link in the sidebar menu. 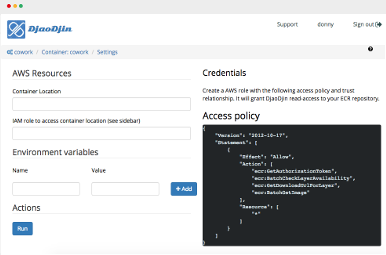 Configure the URL patterns and access rules for the subscription firewall. Rules are checked in order from the top to bottom. 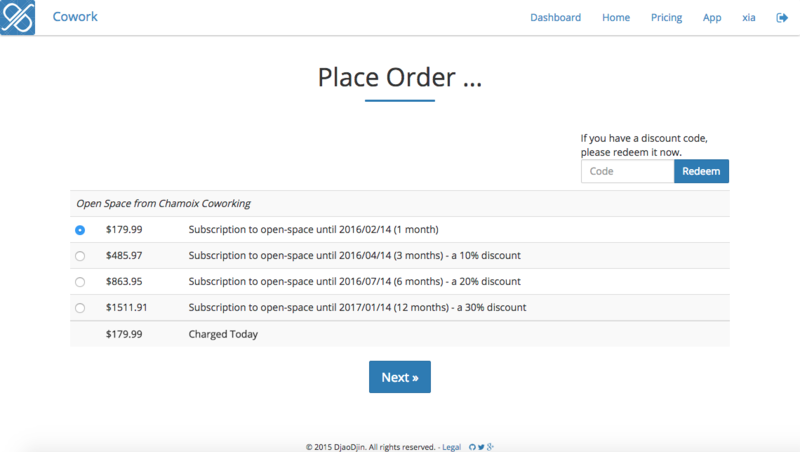 DjaoApp will present login and pricing pages as necessary. Your application only has to deal with requests which are matched against the rules setup here. Setting up your own domain is often one of the most complex challenges for non-technical business people. It requires multiple independent third party services to be configured to work together. 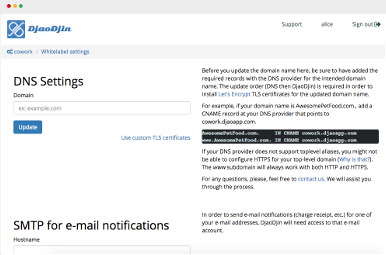 Update the settings at your DNS provider to send requests to the DjaoApp firewall (ex: mydemo.djaoapp.com). Read our detailed post on the subject of Secure whitelabel domains ». You can easily update the layout and colors of the registration, pricing and payment pages by uploading your own templates and assets. 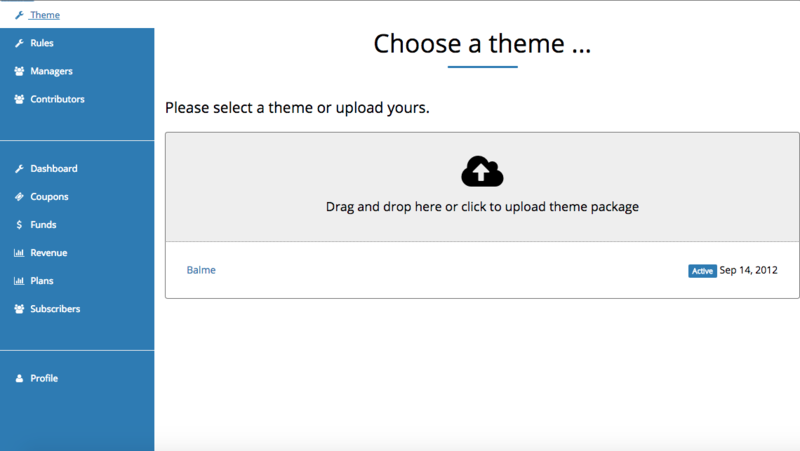 For technical details on the convention your templates must respect in order to integrate nicely into the DjaoApp reverse proxy, read the creating theme documentation ». 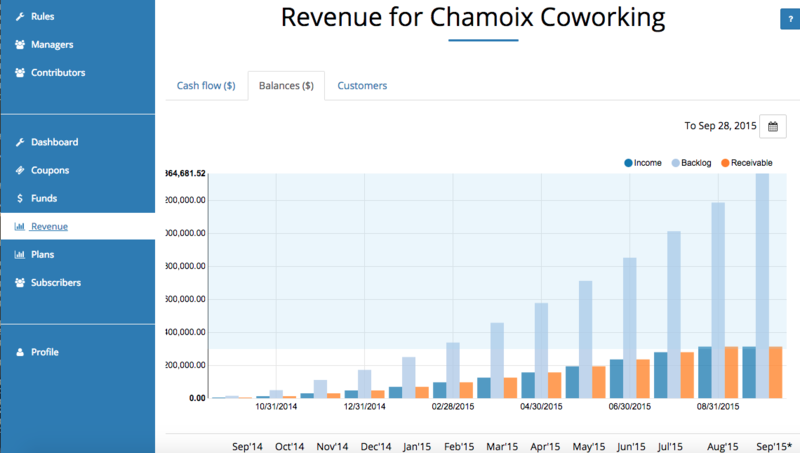 DjaoApp implements accounts & billing workflows which are most common in Software-as-a-Service product (ex: Checkout workflow) in such a way that the complexity can be introduced gradually as your business evlove. Marketing will spend a lot of time on landing pages, call-to-action (CTA) and on-boarding workflows. Implementing a product to ask for information and offer functionality one step at a time is actually not so straightforward. Here is a tutorial on how to implement frictionless onbaording using DjaoApp. Either on the phone or by e-mail, the first thing you will want to do when a subscriber requests support from you, is to pull up their profile. The subscribers page, accessible from the sidebar menu is your entry point there. 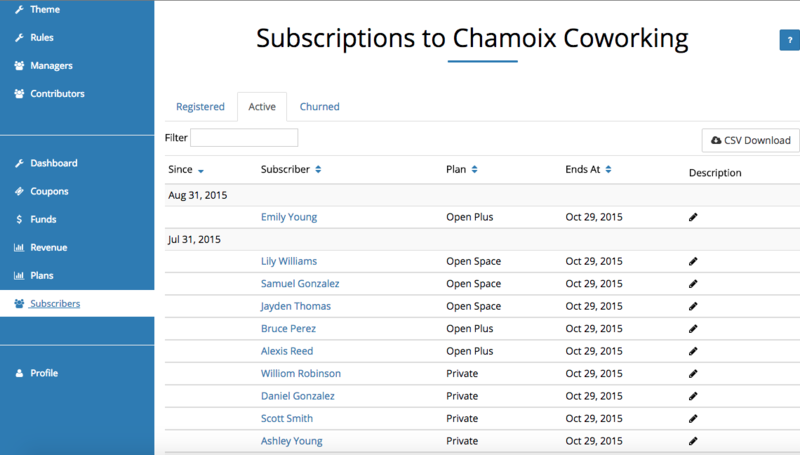 Search by username, email or given name, then click on the customer profile link to browse to their subscriptions and billing history. You can easily update information and refund transactions when necessary with a simple click. Discounts are an integral part of running any business. You can set two kind of discounts on DjaoDjin. Another set of discounts are for payment of advance periods. The time value of cash is critical to your business so you will want to reward the monthly subscribers that pay six months, a year or two years in advance. 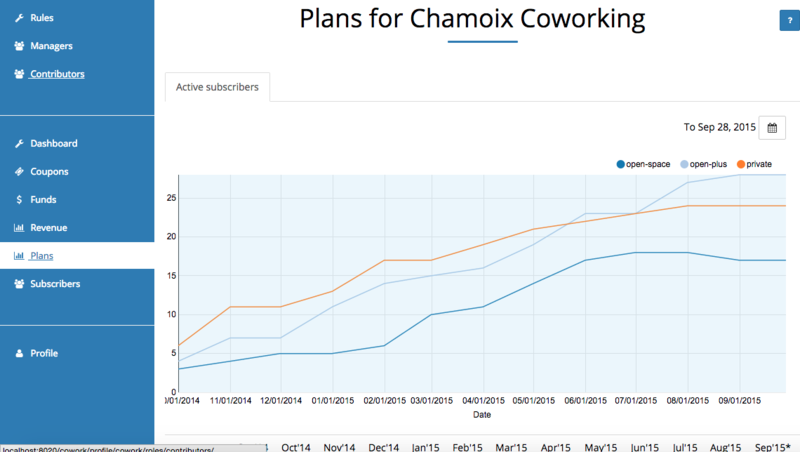 In order to do that, browse to the edit plan page and set an Advance discount percentage greater than zero. All customers subscribing to the plan will then see an additional page at checkout where they will be given the opportunity to buy advance periods at a discount. Income At the end of each period, the income generated by the service during the period must be recognized. For example, on a $828 for a one-year contract we will recognize $69 every month from the start date. Backlog The accounting rules dictate to recognize the value over the lifetime of the contract but it does not make any requirements as to when cash is transferred between the subscriber and the provider. Backlog is the value of the contract that has been paid by the subscriber in advance of the service being delivered. Receivable When cash is transferred from the subscriber to the provider at the end of the contract, we record its value at the time of signature as a Receivable that will be collected later. Of course, you will want to also keep an eye on the lifetime value of a subscriber, churn rate and the popularity of each plan. These metrics are automatically generated in real-time from the activity happening on your DjaoDjin-hosted site. Total Sales This number reflects the total amount ($) ordered by customers in the period, regardless if the associated charges were successful or not. New Sales This number reflects the amount ($) ordered by customers in the period that did not order anything in the previous period. It includes new customers that registered and ordered subscriptions in the period as well as past customers that had cancelled previously and are signing on again. By definition, New Sales is always lower than Total Sales. Churned Sales This number reflects the amount ($) the business could have expected to see as renewals but that did not happen because of subscription running out and not being renewed or active cancellation. Payments This number reflects the amount ($) that was sucessfuly charged to customers in the period. Refunds This number reflects the amount ($) that was returned to customers in the period, usually by the business support staff after interacting with a customer. Note about Total Sales and Payments. In a perfect world were all charges on a customer credit card are successful, Total Sales and Payments would be equal. In practice, there are many reasons why a charge can fail (underfunded credit card, expired credit card at time of renewal, etc.). 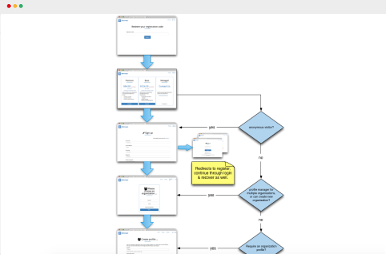 When an order has been successfuly entered in the system the associated subscriptions are active and the SaaS product is being served to customers. Their account though goes into collection for past due. Payments are the actual amount of successful charges in the period. It will be lower than Total Sales when customers subscribe to a product but the associated charge fails. Payments can also be higher than Total Sales when business is really slow but there is a sudden spike of past due collected. A business that serves professionals or enterprise customers always has to deal with a distinct payer and subscriber. The person authorizing payments to your service is often not the person using your service day-in and day-out. 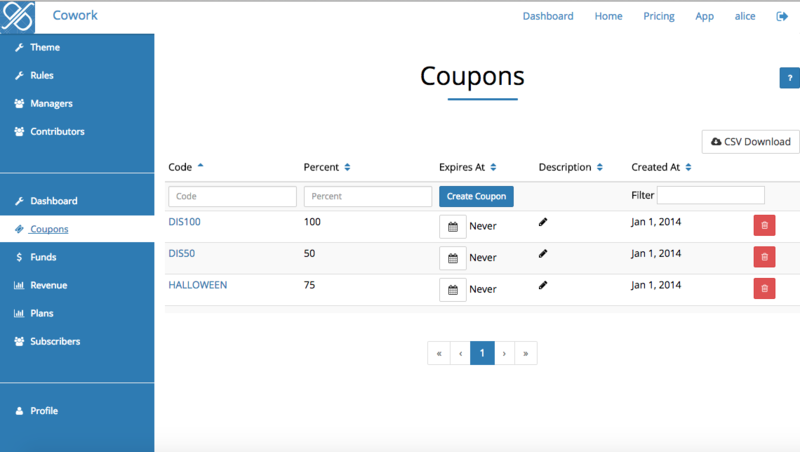 DjaoDjin supports this scenario by providing a GroupBuy option nicely integrated into the discount code payment flow. A group buyer first registers normally to the site. She will update her profile to enable GroupBuy before moving on to the payment screen. Because GroupBuy is enabled, the group buyer has the opportunity to add the name and email address of as many users as she desires. Each individual user will receive an email with a link that enable her to go through the payment screen has if they used a 100% discount registration code. A group member only has to click on the link received in the email, register (or login if they were already registered), click through the no payment required page and start using their subscription.